Summer is here and it’s time to get your home back in top shape. The weather is hot outside, but it’ll start feeling great indoors as soon as you finish up those projects that have been nagging you since last fall. Check your porch or deck. Is it due for repairs or a fresh coat of sealant? The winter can be very harsh on wood and other materials. To keep your outdoor space looking its best, you should schedule repairs or go buy a can of sealant to apply yourself. This is a small and affordable home improvement project that you shouldn’t overlook. 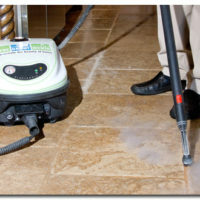 Having clean grout is the key to beautiful tile floors and walls. 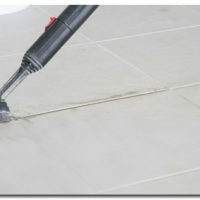 When a standard DIY cleaning isn’t enough to do the job, then it’s time to call in the tile and grout cleaning professionals to do the job. To help save money this summer, you can invest in windows that are energy efficient. This will help to block out excess UV rays and keep inside air in and outside air out. You’ll be helping the environment and your savings account at the same time! Say goodbye to asphalt shingles and hello to metal. Not only does this material last longer, but it can also help to reduce the energy costs for your home. The look can be customized to suit your home, so if you’re worried about the look, you’ll find plenty of gorgeous options to choose from. Whatever you decide to do with your home this summer, make sure to hire professionals to help you with your needs. For more information about your metal roofing options in the Mile High City, contact the Denver roofing experts at Pinnacle Roofing Solutions. When you’re ready for a grout cleaning expert to restore your tile surfaces to like new condition, contact the nearest location of The Grout Medic!